The whole year, sports school, festive times or outside holidays ! Offer to your child an original birthday! More than outside parties, our birthdays take your child and his/her friends at the heart of extraordinary adventures cooked up according to a 100% recipe of the Grand Parc. You only must think to birthday cake and candles! Our organisers do the rest and prepare the afternoon according to a very busy programme. Drinks and present are offered to the king or queen of the party ! Our birthdays take your children and their friends at the heart of extraordinary adventures in L’atol’ or L’îloz’. Choice: sport, hobbies, riddles, discovery of nature, outside activitie. Ingredients for a super birthday part ! 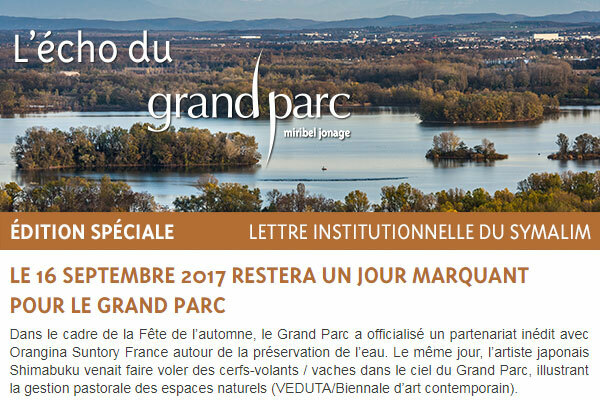 Bring birthday cake and candles, drinks and present are offered by the Grand Parc, invite some friends (group of 8 to 12 children according to the theme and the age bracket), add a graduated organiser and go for 3 hours of activities and discoverie ! Outside activities require not forgetting clothes adapted to weather (rain clothing, hat/cap, sportswear…). Fall-back solutions exist indoors if necessary. Read the birthday themes ! 195 €the birthday of 3 hours, on Wednesdays, Saturdays or Sundays according to the theme, drinks and present included, thanks for bring cake and candles.